A solo exhibition by Azerbaijani artist Irina Eldarova will today open its doors at the National Art Museum. Entitled "The Male=Brand ", the expo will feature more than 40 works of the artist, Azertac reported. The extraordinary exhibition will run until February 22. Irina Eldarova is an artist, illustrator, and graduate of Saint-Petersburg State Academy named after Repin and Moscow State Institute named after V. I. Surikov. 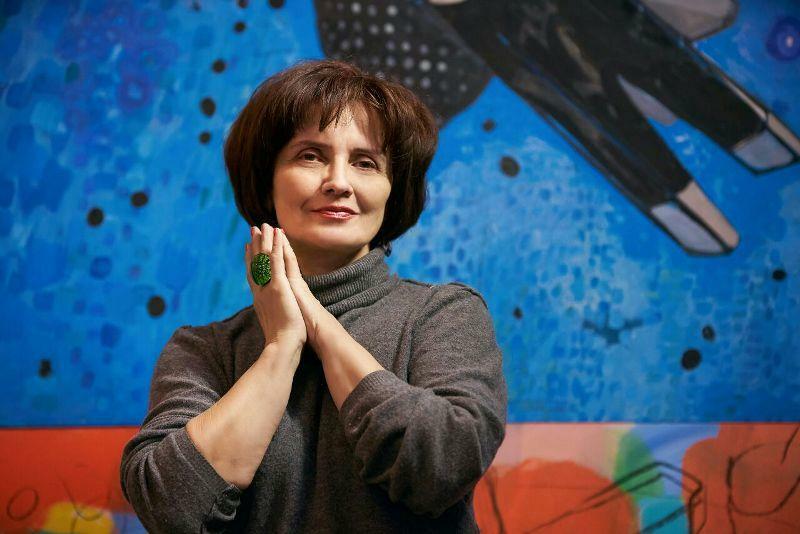 Her creative work include not only painting and graphic designs, but also the development of large-scale publishing projects in Azerbaijan, Russia, Kazakhstan, and Uzbekistan. The artist received the prize for Best Media Project, granted by the Kazakhstan Journalists Union, in 2007. Eldarova is also known as the author of the monumental marble panel fixed at Khalglar Dostlugu metro station in Baku. She also illustrated "A Proud Violin" in 2012, a children's book that received very warm feedbacks from art critics in the UK. Eldarova participated in major international projects, representing contemporary Azerbaijani art in the world. Among them is the "Fly to Baku" project, organized by the Heydar Aliyev Foundation, showcased in London, Paris, Berlin and Rome, and the "Home, Sweet Home" exhibition, held in 2013 at the Azerbaijani Culture Center in Paris. Her works can be found in the Tretyakovskaya Gallery (Moscow), Academy of Arts of the Soviet Union, the Modern Art Museum (Baku), the Arts Museum named after Mustafayev, and the Baku Arts Center, and are part of many private collections.